Did you know that you could turn a blog into a business and make the blog posts that you write pay your income? Though many people first think of Google AdSense and its ads, but there are other ways that you can make money and launch a business from your blog. As long as you pick a topic that interests you and have the ability to make frequent posts, you can turn your interest into money. Amazon is just one online company that has an affiliate program in place. Another example of an affiliate program is the one maintained by eBay. You agree to place an ad capsule on your place that displays one or more ads for products on those sites. When readers see those ads, follow the links and buy products, the program pays you a small amount based on how much the shopper purchases. The ads generally use the keywords in your blog post to determine the products to show. Some affiliate programs will let you select the products that you want to display on your page. There are two different ways that you can turn a blog into a business via advertising space. The first is with the use of ads through AdSense or another program. Similar to affiliate ads, you receive money when people make purchases through those ads, but you also earn money when your readers view those ads. If you have a large number of readers, you can also sell advertising space on your site. Companies will pay you a set rate to run banners and other ads on the side or top of the blog. Using your blog as a way to offer a valuable service is another way to make money. If you are a crafting enthusiast, baker or cook and love showing off what you make, you can offer your products for sale on your site. You can also include links to any online stores that you have. 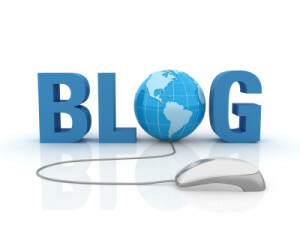 Others use their blogs as a way to upload content that relates to the services they offer. For example, a landscaping company might post blogs about caring for different types of plants and outdoor decorating ideas with a link at the end of each blog to their contact information. Entrepreneur recommends that you turn a blog into a business via merchandising. If you have a large amount of readers, you can sell shirts, coffee mugs, calendars and hundreds of other items with your blog logo or images from your blog on the front. There are several websites that let you upload images and design your own products. Readers will purchase those items, and the site will produce and mail the products before sending you a check. Branding your blog works best when you receive a high number of unique page views every day and you have dedicated readers who return to your blog every day. Unique content and frequent posting can help you increase the number of views your blog gets. As your readership grows, you can look for ways to make money off your site. Branding your blog, offering a valuable service and using ads of different types can help you turn a blog into a business.